Every year, I approach Kosherfest with a healthy dose of both excitement and skepticism. How can there possibly be anything new in the world of kosher, I wonder? But there always is. And this year’s Kosherfest did not disappoint. 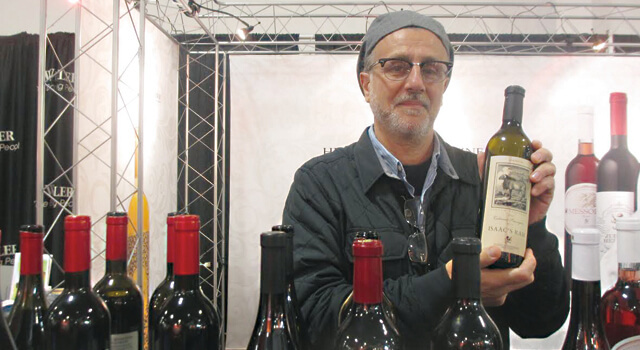 Kosherfest 2015 – held in the Meadowlands Exposition Center in Secaucus, New Jersey in mid-November — marked its 27th year with an event featuring 400 booths and 300 new products. The more than 6,000 who passed through the doors of the two-day represented just about every area of the kosher food industry — chefs, cookbook authors, restauranteurs, grocery and specialty store owners, buyers, distributors, caterers, representatives of summer camps, nursing homes, kosher supervision agencies. and manufacturers of products from organic chicken to mock shrimp, knishes to falafel balls, chocolates to wine and liqueurs. Simply put — kosher is big business. According to a 2015 report by Lubicom Marketing Consulting, there are 12,350,000 kosher consumers in the United States (not all of whom are Jewish), and 205,000 kosher certified products manufactured by 11,400 kosher companies and plants. Also, Lubicom reports, 3,400 products received kosher certification in 2015 alone. Two new brands of hummus surfaced at Kosherfest 2015. Mediterranean Chef representative, Eyal Schmerling, was giving out samples of its matbucha, pesto sauce, roasted pepper strips, cooked beets, and various hummus flavors. Schmerling boasted that his products have “fewer preservatives and a 65-day shelf life.” Meditteranean Chef, which according to Schmerling has been a fixture in Israel for 35 years, is now based in Lincoln Park, N.J. Also new to the hummus market is Fountain of Health. Founded in 1990, Fountain of Health is just now hitting the U.S. market. With unique hummus flavors such as sesame ginger, roasted beets, caramelized onions and chipotle. RC Fine foods showed off the company’s various gluten-free soup bases; and Glutzero of Helsinki, Finland featured fresh gluten-free fetuccine and other pastas. Healthy snack products on display included Amrita’s five flavors of energy bars — all raw, peanut and tree nut-free and grain and wheat free. A man sampling both a cranberry raisin and chocolate maca bar was overheard telling the Amrita rep, Alex Alam El-Din, “This is the best product I tasted in the show.” He was delighted to learn that the product is currently sold at Whole Foods. Another delicious, healthy snack product on display was Matt’s Munchies, the premium fruit snack. Based in Santa Ana, California, Matt’s Munchies comes in eight flavors. Other sweet new products include gourmet soft caramels in five flavors from Shay’s Chocolate (my personal favorite: sea salt and espresso) and chocolates by CocoArt Artisan Milk Chocolates. According to the CocoArt CEO Yoseph Schwartz, the company boasts 26 chocolate products. He thinks they’re all winners – but the one that garnered the best feedback thus far, he admits, is orange creamsicle. In addition to a slew of new products introduced by new manufacturers, many of the veteran kosher companies — like Gold’s, Gabila’s Knishes, Mansichewitz and Empire Kosher – proved that they’re still on the grow by introducing a long line of new products. Empire, for example, unveiled a brand new line of organic chickens and soups.